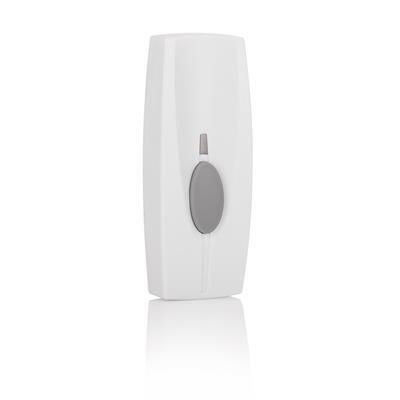 This Byron BY212F Wireless Doorbell Kit comes with a both a portable and a plug in chime unit which can be plugged in to any standard UK plug socket, giving you the flexibility to move your door chimes anywhere throughout your home, garden or garage. The portable unit requires 3 x AA batteries (not included), and both units will ring up to 100 metres (open distance) from the bell push. With additional flashing light function these chimes are ideal for the hearing impaired or for a noisier environment. Insert the batteries (not included) into your new doorbell, then simply press your bell push to pair and the doorbell will ring. Repeat this process after plugging in the additional unit. It couldn’t be easier. The Byron BY212F uses unique coding to eliminate interference from neighbouring chimes. Your Byron BY212F comes with a 2 year warranty, for extra peace of mind. You can mount the bell push by just using 2 screws or double coated tape. You can connect the bell push and door chime in just seconds. The doorbell will not interfere with your neighbours doorbell because it has many self-learning codes. 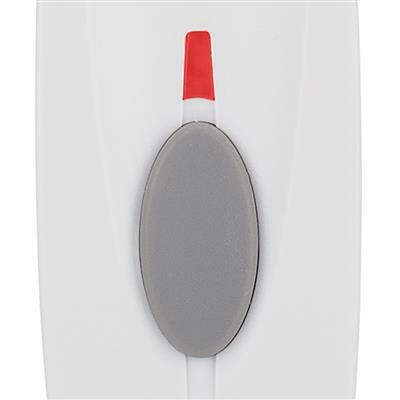 The portable door chime can be mounted to the wall if you prefer to have it on a fixed place.